During the wedding day I arrived at the couple's home and walked around the house to see what I had to work with. I walked into a room with guitars hanging on a wall. 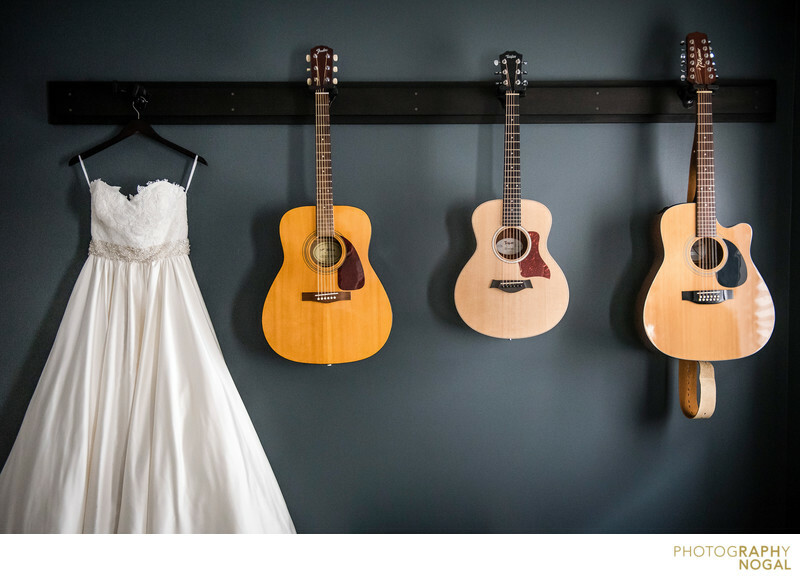 I thought it would be as great idea to incorporate the Bride's love for music bu hanging the wedding dress next to the guitars. I used the natural light that was filtering in to light the scene and create texture on the dress. I love incorporating the couple's personalities or likes in photographs. I think it makes them more real.